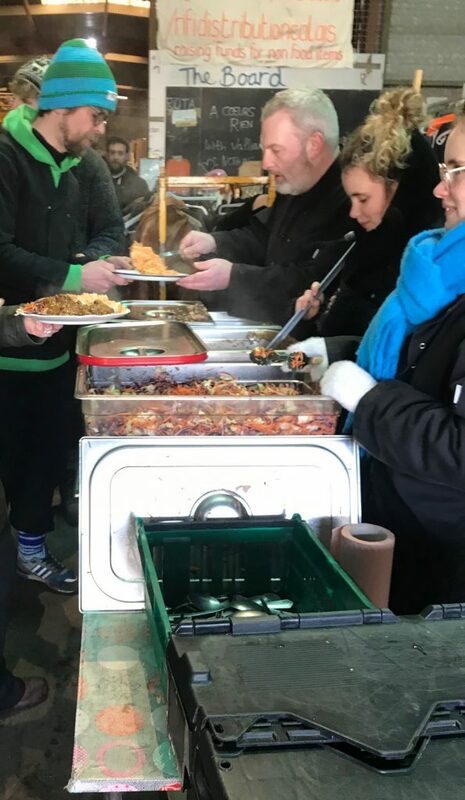 Catharine Walston reports on another successful weekend of CamCRAG volunteers working with Help Refugees in their warehouse in Calais. The January convoy weekend in Calais was crystal clear and sunny, but very cold. When temperatures get this low the French government is obliged to open temporary shelters in empty warehouses: However, even when shelters are available, a place is only guaranteed for 30 days. To stay on after this, refugees and migrants must begin the process of official registration, which most are reluctant to do as they will then have to stay in France. In Grande Synthe near Dunkirk, at least, most families with children are sleeping indoors this month. Not all of the estimated 500 refugees in the area are so lucky. In the Calais area, the numbers needing help are stable at about 700. 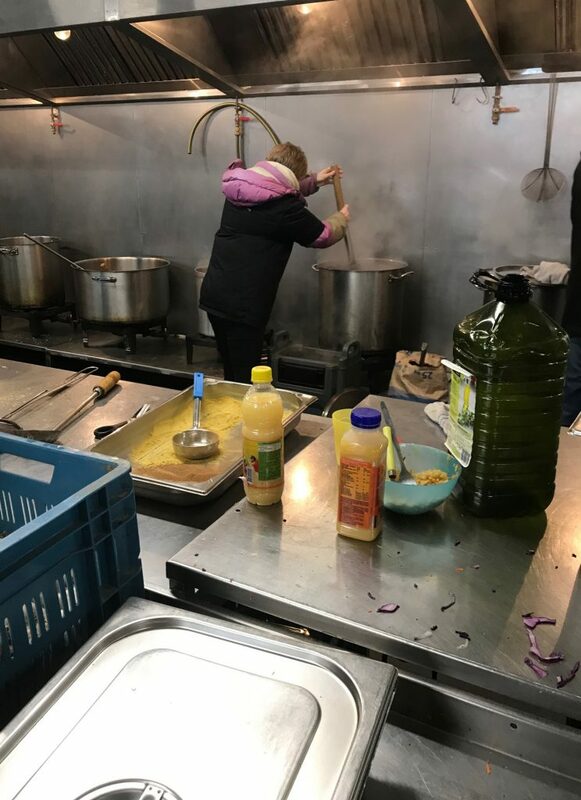 The brilliant new systems now in place at the Auberge des Migrants warehouse mean it is now much easier to get a picture of what is going on in the field. The new management team could show that, in the week before we arrived, they had distributed 444 blankets and sleeping bags, 123 tents, roll mats and tarpaulins, and over 2000 items of clothing. How much is needed, and how much can be distributed, varies according to the regularity of police clearances and whether those affected are allowed to salvage their possessions. Sometimes the French riot police, the CRS, give them time to do this: Sometimes everything is destroyed and taken to a waste site. More accurate census data is being gathered by Help Refugees and the efficient logging and updating of records has given the warehouse a renewed sense of purpose since our last visit in November. There was a tangible buzz, with lots of volunteers from Paris and Lille, as the French universities are still on their winter break. The positive atmosphere is reflected in real pride in the warehouse itself: one long-term volunteer has been designated ‘artist-in-residence’ and is creating some beautiful new panel paintings for the ends of the sections. It was good to see, after the hard work CamCRAG volunteers put in last time, that the volunteer area was looking cared-for and organised. 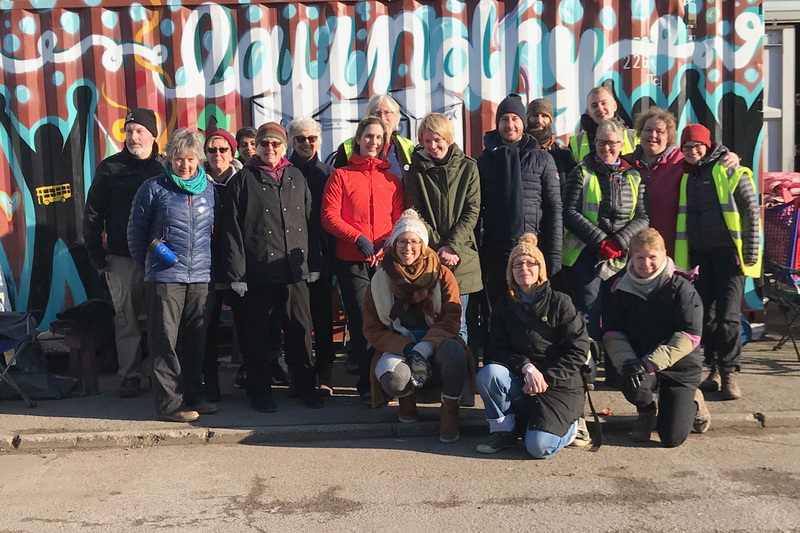 The January 2019 CamCRAG Convoy volunteers – thank you for giving your time and enthusiasm in Calais, we hope to see you again on another convoy!